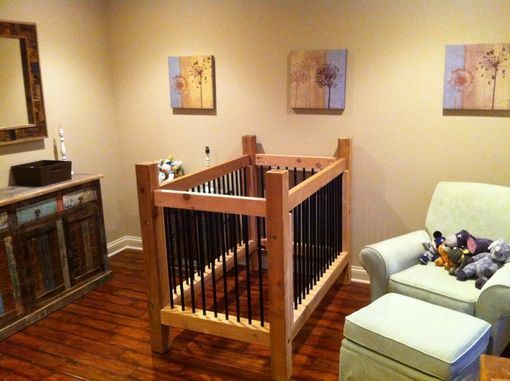 This is a baby bed like no other. This bed features solid wood with either galvanized pipe or antique looking pipe with exposed bolts for a baby bed that your friends will envy. This bed uses the bolts to hold the frame together (simply because of weight), requires two people to assemble. 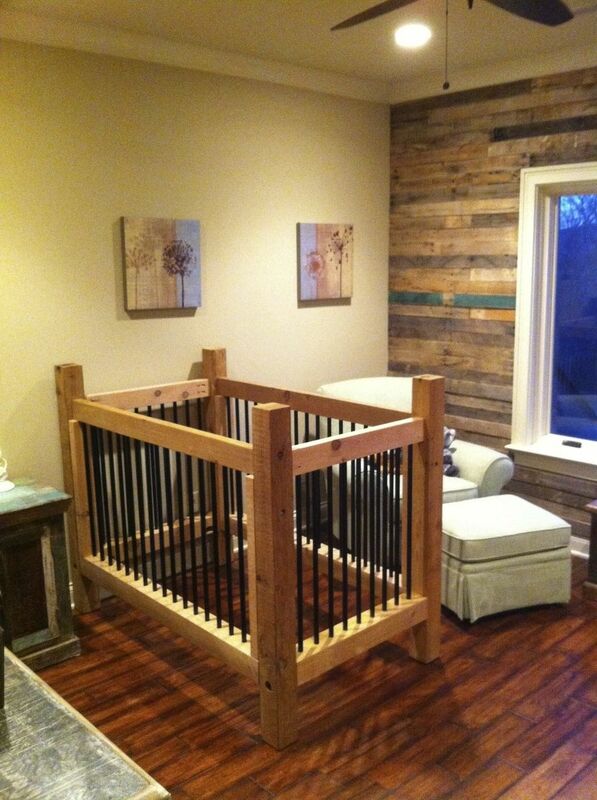 If you are crafty you can easily convert to the toddler bed when the youngster gets old enough.